Workforce Logiq: Changing our Name and Upping our Game. Much higher client expectations for how workforce management providers invest in and deliver more innovative solutions — especially in using advanced technologies to increase talent quality, retention and program cost efficiency. Deliver the expertise, continuous innovation and insight to reimagine and transform how organizations win the talent they need to grow. As ZeroChaos, we have served our partners for nearly 20 years – and now manage client projects in 50 countries. The name has served us and our client partners well. It’s now time to embrace a new name and brand that best reflects who we are and where we are leading the company. 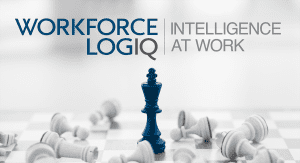 Workforce Logiq, through a combination of human and data-driven intelligence, is bringing better insights and more confidence in decision making. We’re doing this through improved talent supply chain management, access to more unique data and advanced analytics through AI-powered technology and patented and patent-pending workflows that deliver actionable, predictive insights. Preparing our clients for the future – today – is particularly exciting for us since, for the most part, HR and procurement teams have not yet experienced the exponential efficiency gains that are being realized in other industries using advanced data science and machine learning. That’s where we will excel and how we will deliver superior results for our clients. Please explore our website to learn more about Workforce Logiq, our mission, team and solutions and view our latest video, “Listening In – An Unexpected Conversation”. 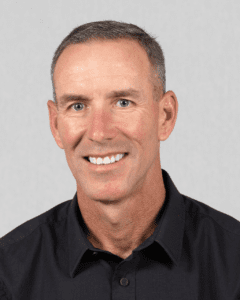 Jim Burke joined Workforce Logiq in June 2018, as Chief Executive Officer. Previously, Jim led three other technology enabled services businesses: Advanced Discovery, a global e-Discovery and risk management firm, vRad, the world’s largest telemedicine company and Global Compliance, a leading ethics and compliance services firm. Jim also held senior leadership positions at several Fortune 500 companies, including Dun & Bradstreet as President, Global Information Services & Chief Quality Officer; President, US Customer Segments. Jim also served as an officer in the U.S. Marine Corps. He earned a BSBA from Villanova University and an MBA from The Katz Graduate School of Business, University of Pittsburgh.